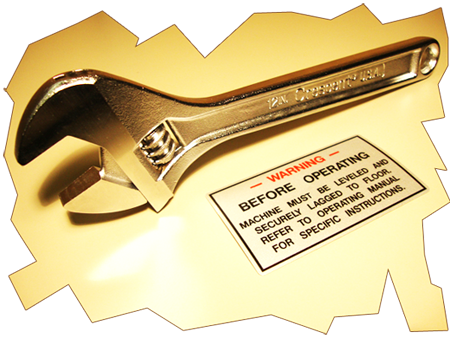 Speedway Signs has the capability to produce all sorts of custom stickers, labels, decals, and overlays. If it is big or small... for your car, truck, boat, bracket, window, etc... we can produce it! 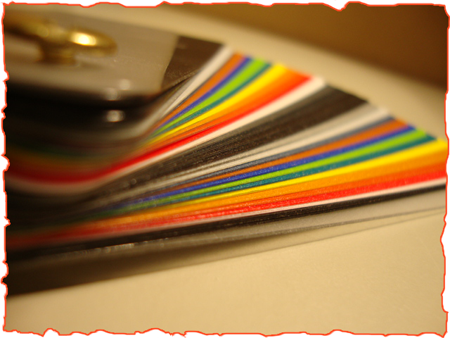 We offer custom polycarbonate labels in many styles and colors. 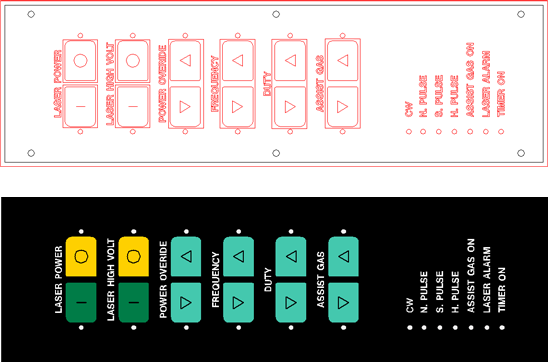 If you need a set of overlays for a large order or just a one time custom job, we can produce it. 3000 average impressions per hour! Any shape, any color for your quantity! Die cut stickers are a very popular way to advertise your logo or just simple artwork wherever you want. The die cut technology allows the typeface and/or logo to be individualy cutout. This technology gives the sticker a clean appeareance when applied to just about any surface. Long lasting magnetic vinyl stickers are very flexible and tough. 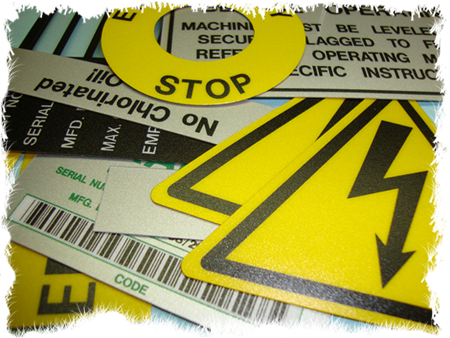 These are well suited for vehicle signs that can be easily removed and placed on another. Who wants a boring square graphic?... we can make a custom, creative and unique sticker shape using our advanced cutting systems. How tuff is tuff? We will give you the protection you need! Our stickers are guaranteed to last with our durable Lexan films. Also, ask us for our abrasion guard finish for extra protection when needed. If you need an overlay for your control or a sticker that will be seeing constant sun and weather, it will last for many years. They have been tested to outlast indoor and outdoor environments and even under UV exposure. Solid prints, gradients, flourscents, even glow-in-the-dark! We have a in-house pantone matching system, so if you are looking for a certain color, we can certainly match it up. We have thousands of colors to choose from; the options are endless with our custom solid colors, metallics, fluorescents, pastels, mattes, and even glow-in-the-dark foils and vinyls.